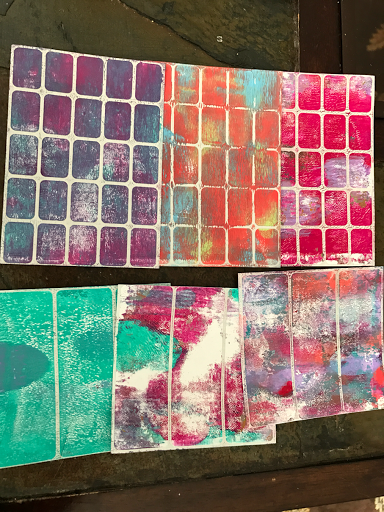 I have been doing a lot of futzing around lately with my Gelli plate, and having a darned good time doing it. The bright colors are super addicting to me! So yummy! Here are some mini tags. 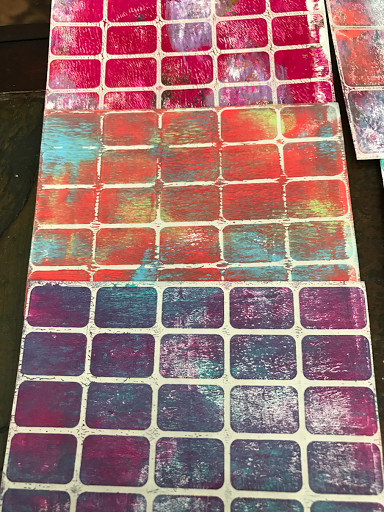 I thought of adding embellishments and whatnot to these, but at the moment, I just love all the color and texture. 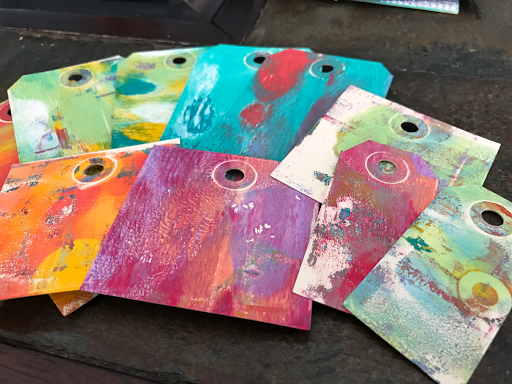 I discovered that you can gelli print on labels, which is a lot of fun for your altered book and paper projects. 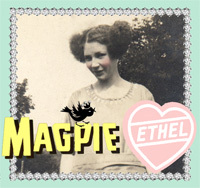 You do have to keep an eye on the stickers though, or else they stay on the Gelli plate and not on the sticker paper. 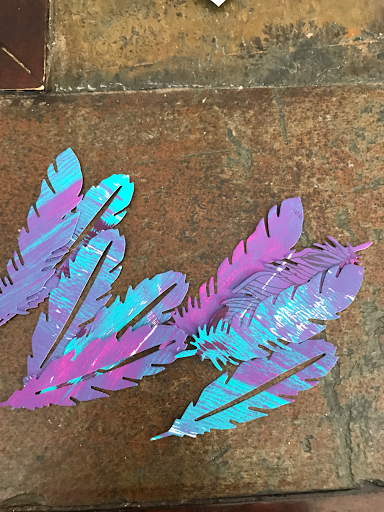 And I finally used this sheet of purple and blue Gelli printed paper that I have been hoarding and used it to make some awesome feathers with one of my Sizzix dies.